JASON BYRNE FIRST came to the nation’s attention as a very important background character in Father Ted. Yes, he was the referee who discovered that Ted’s win at the All-Priests five-a-side Over-75s Indoor Challenge Football Match wasn’t exactly legit. Mrs Doyle’s “you’re not singing anymore” seats are visible behind him there. is that where we were?? the real question, was the corner flag still there? 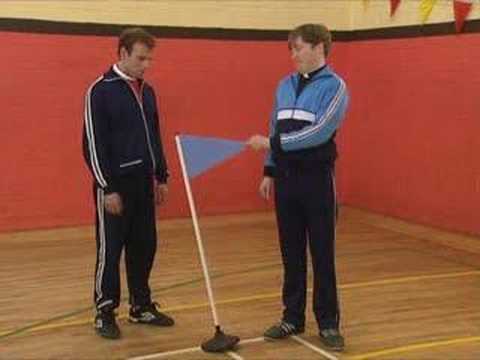 Email “Jason Byrne recreated his famous referee scenes from Father Ted ”. Feedback on “Jason Byrne recreated his famous referee scenes from Father Ted ”.